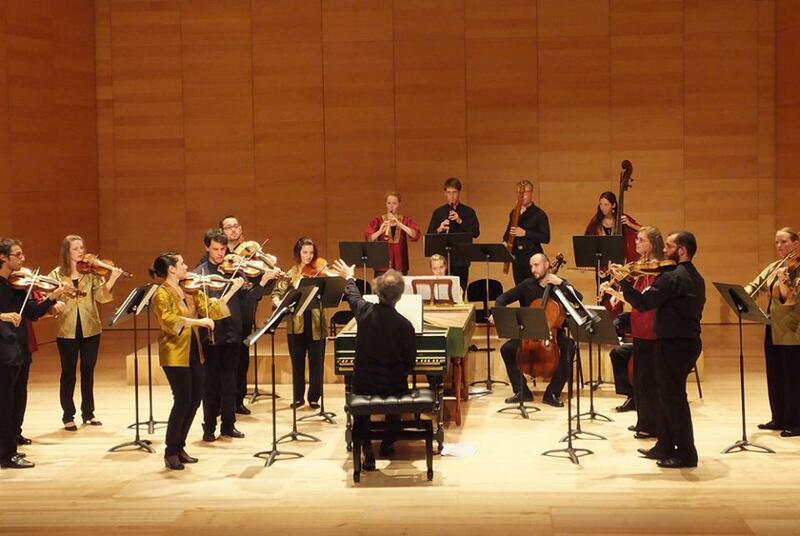 The European Union Baroque Orchestra (EUBO) is back at St. John's Smith Square on Thursday 3 December 2015. Under their director, Lars Ulrik Mortensen, the orchestra is playing a programme based around music for feasts and banquets with music from Biber's Sonatae tam aris quam aulis servientes, and Telemann's Tafelmusik II, featuring young British trumpet player Paul Bosworth, as well as showcasing the 17th Venetian fashion for oboe concertos with Marcello's Concerto for oboe in D minor. And the concert starts with Muffat's Sonata No. 5 in G from Armonico Tributo. The EUBO brings together young European baroque performers with the intention of nurturing them through the difficult transition from conservatoire to working in the music profession. The orchestra comes together annual for a series of projects, and personnel are selected each year, rather than being permanent. They work with some of the finest baroque musicians, and the orchestra tours extensively. Further information from the St. John's Smith Square website.